An app we were surprised not to see on the launch of the iPad was Koi Pond. 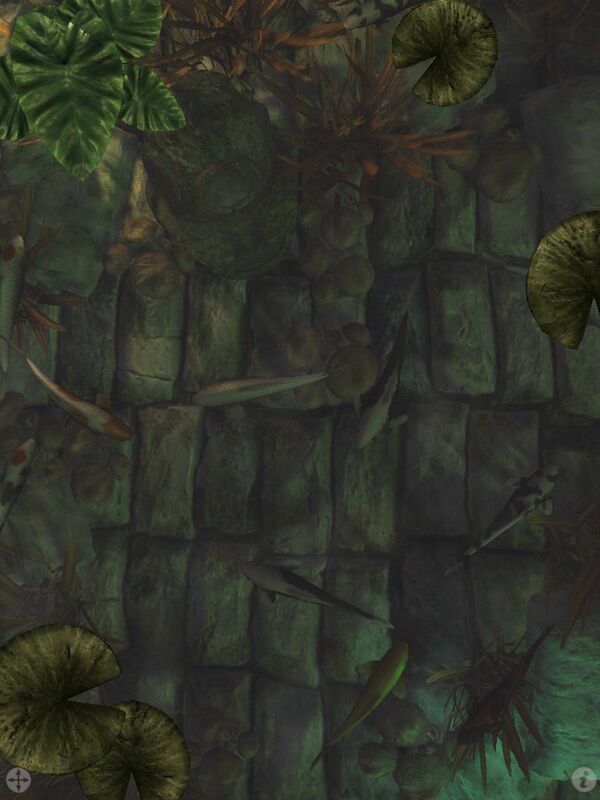 It had been a huge hit on the iPhone… little fishies swimming around that you could poke at and watch them scurry away. There was several little quick-to-market solutions that came out the first few weeks but the first we would concider a ‘Koi Pond’ like app was Pocket Pond HD. Features and adjustments were on the light side, mostly the app would like to upsell you to being able to fish in the pond. Not really the point of a Koi Pond which is a statement of relaxation and co-existing. 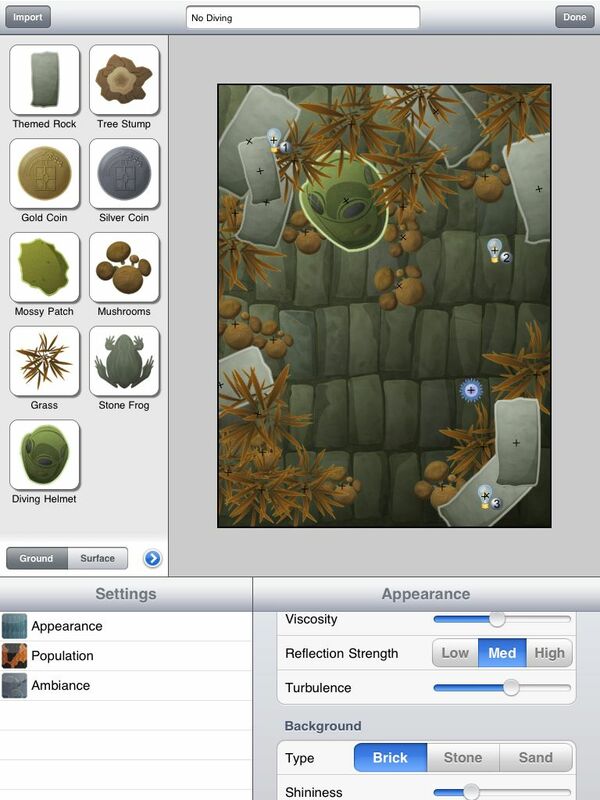 Turn on Pocket Pond HD and let is sit on your desk to enjoy the calm sound and movement. It’s bright and easy to see all of the activity. And now, the reason we called the post “a hole in any surface”. Enter Koi Pond HD. 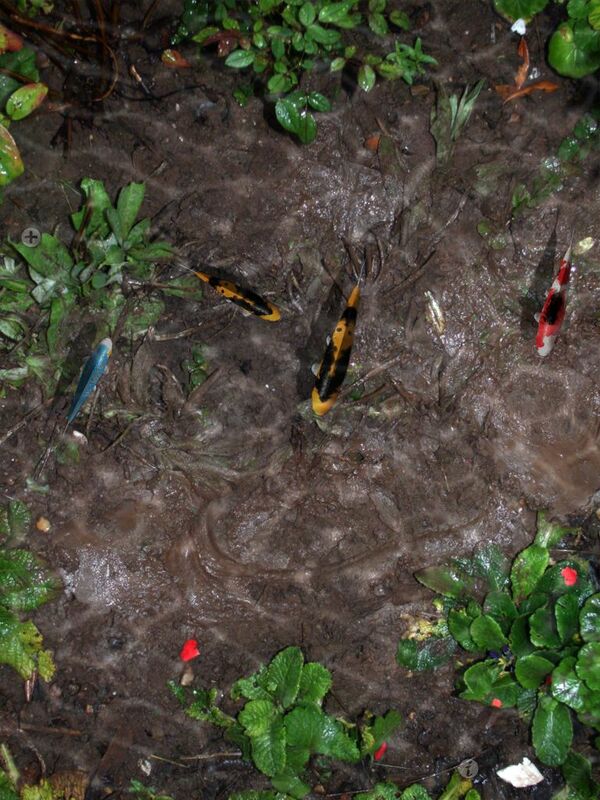 An update to the Koi Pond we knew and loved, but completely rethought for the iPad. Do not the below screen shot as how this pond will look on your iPad. The developer has created a moving, almost 3D world that we just couldn’t get a good picture of. The iPad screen reflected light too much to show what we are talking about. When the app is running on the iPad and the iPad is sitting on any surface, the pond looks like there is a hole in the surface and your looking through to a real pond. If you doubt this, find someone who has the app on their iPad and see for yourself. We spent a bunch of time talking about what causes the effect. No great answers, non of us are wearing 3D glasses either. Ha! As you would expect from this developer, there are many ways to fine tune the pond to just the way you have it in your mind. Change the pond floor, the floating plants, frogs and actions for all of those including the water. The water tapping effect is the only issue we had with Koi Pond HD… it was like tapping on jello across both ends of the adjustment scale. That’s OK, we really shouldn’t be trying to scare the fish anyway.